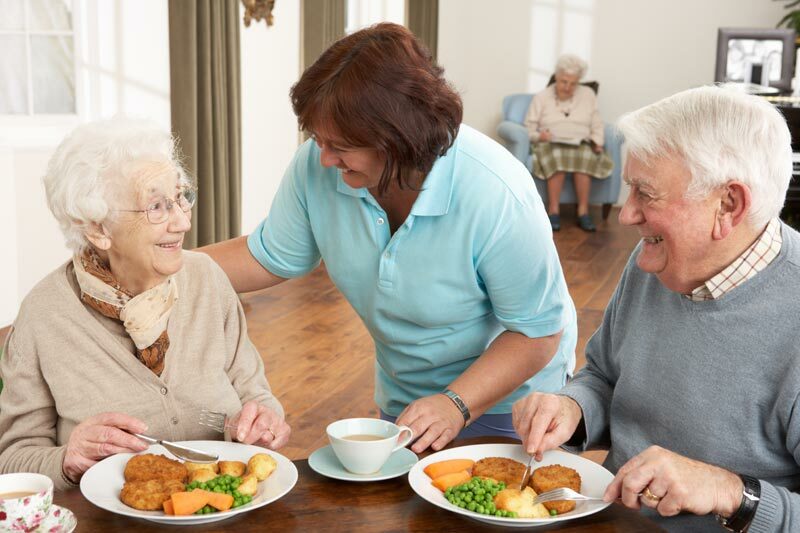 Hidden Springs Senior Living provides three tasty meals plus snacks daily in the gracious dining room. Special diets are recognized and provided. Each delicious meal is prepared by a trained chef with dietitian-prepared menus. In addition, all of the cooks are ServSafe certified. The dietary department of Hidden Springs Senior Living promotes a Farm-to-Table initiative by using fresh vegetables and fruits to prepare homemade and made from scratch dishes. Residents and staff share recipes from home to help the dining staff offer dishes that the residents enjoy. With soft music playing, friends and family are welcome to join in dining at Hidden Springs Senior Living.